EventLogSourcesView is a new tool that displays the list of all event log sources installed on your system. EventLogSourcesView also allows you to export the event log sources list into tab-delimited/comma-delimited/html/xml file. 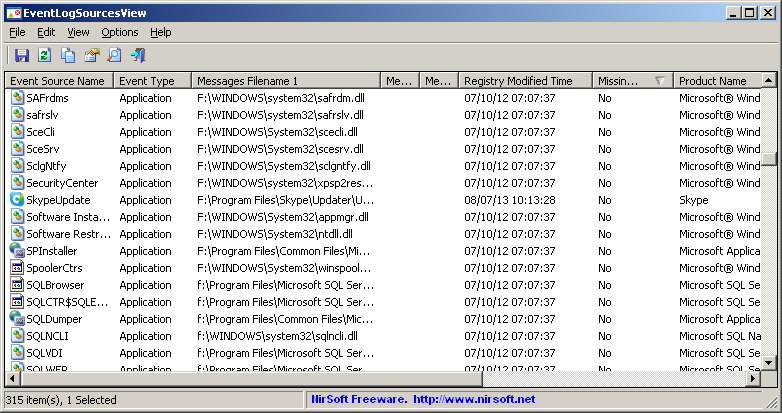 You can download the EventLogSourcesView utility from this Web page. Posted by NirSoft on August 13, 2013 at 12:36 am under Utilities Update.